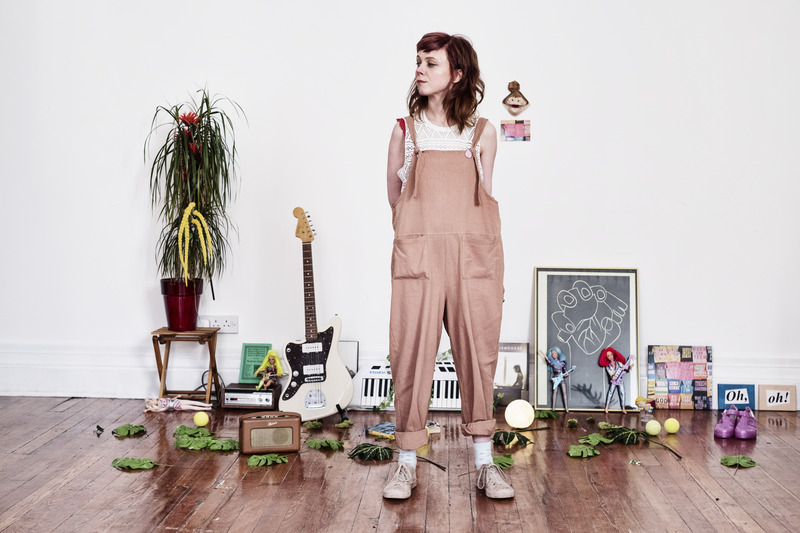 Carla J Easton, frontwoman of Glasgow band Teen Canteen, has been turning heads in recent weeks with her second solo album, Impossible Stuff, a joyful, melodic Caledonian take on the girl group tradition. As part of this year’s Edinburgh International Festival, Easton curated a show, Since Yesterday, celebrating the unsung all-girl bands of Scotland, from Edinburgh’s McKinley Sisters in the 60s through post-punk outfits The Twinsets and The Ettes in Edinburgh and Strawberry Switchblade and Sophisticated Boom Boom in Glasgow to current favourites Sacred Paws and The Van Ts. The concert was inspired by the documentary of the same name that she is working on with filmmaker Blair Young, who has directed music videos for the likes of Biffy Clyro, Camera Obscura and Spinning Coin. I had this idea for Since Yesterday a long time ago when I was an Edinburgh College of Art undergraduate because I’d started collecting records by Scottish all-girl bands. I had a copy of an EP by the band The Fizzbombs. I’ve got quite an obsessive nature and you want to find out more like it, and Blair said he’d been looking to branch out of music videos and do a music documentary and it grew legs from there, tracking down people who had been in bands and finding out about other bands and arranging to talk to them. It’s been incredible as a musician to sit down and hear stories and relate to them. In no way is it intended to victimise anyone, it’s a celebration. I’m really supportive of the initiatives Girls Rock Glasgow and Girls Rock School Edinburgh, and I want more girls to pick up instruments and play. Deborah, the drummer in Teen Canteen, and I have been best friends since we were 11 but it took until we were in our late 20s until we actually formed a band together. Even though we’d been playing instruments since we were teenagers and going to gigs and buying albums and a big part of our friendship was based around music, it took a long time before we had the confidence to make it. Teen Canteen started in 2012 and five, six years down the line it feels like there’s a lot more all girl bands playing music but this isn’t the first time that this has happened. There was a big boom in the early 80s and the 90s as well so it’s a way to make that heritage more accessible. Music for me has never been a gender thing because I’ve got two brothers who are quite a bit older than me and our way to connect was by going to gigs with each other or by listening to music. You don’t really set out to form a band based on gender, I just asked my friends to form a band. But there a big link between who’s in the audience and who’s onstage and if you see someone that looks like you on stage then it normalises it and it means you can do it too. I remember the first time I heard a Carole King song, it blew my mind a wee bit because the piano was so upfront in the mix and I played piano so that was cool and her voice is not a typically perfect voice, it wasn’t what I’d been used to hearing growing up. In a way she just sounds like my friend singing at me, she makes me want to sing along with her. I always thought I can’t sing and I’d had a few comments here and there about not being a singer and that I sing in a Scottish accent which I wasn’t aware I was doing. My mum would come to my defence and say ‘you’ve just got a lovely South Lanarkshire accent’ but also casually remind me to pronounce my Ts! Maybe it’s a bit of a Marmite voice, some people like it and some people don’t.